Can you pass the citizenship test? 2. What happened at the Constitutional Convention? 3. Who was the President during World War I? 4. Who wrote the Declaration of Independence? 5. What is the supreme law of the land? 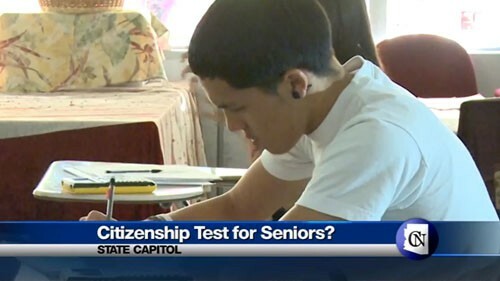 PHOENIX – If a state lawmaker gets his way, high school students would have to pass the same civics test required of immigrants before receiving their diplomas. 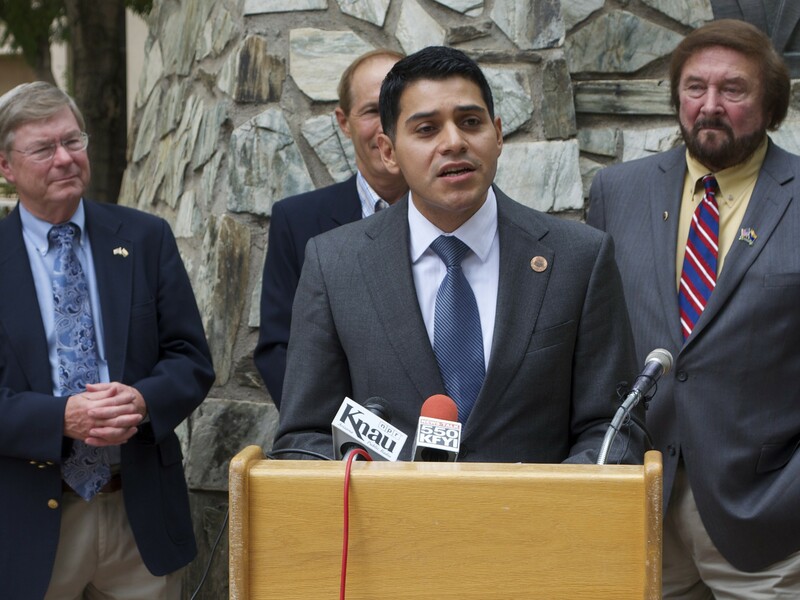 “We believe there are certain facts of civic society that we should know,” Rep. Steve Montenegro, R-Avondale, said at a news conference Wednesday. Montenegro said he will introduce a bill next session dubbed the Arizona Civics Education Initiative, which would require high school students to pass a 100-question test on basic facts of U.S. history and government in order to graduate. Students would be able to take the test an unlimited number of times from their first day in high school to their last. He pointed to a 2009 study by the Goldwater Institute, a watchdog group that promotes limited government and free enterprise, suggesting that 3.5 percent of Arizona high schoolers could pass the citizenship test. According to U.S. Citizenship and Immigration Services, 91 percent of immigrants pass the test on the first try. According to the Civics Education Initiative, a national organization, seven states are considering laws adding the requirement. The group lists former Supreme Court Justice Sandra Day O’Connor, an Arizonan and proponent of civics education, as a member of its board of advisers. Montenegro, originally from El Salvador, immigrated to the United States when he was 4 and became a citizen when he was 12 after he and his family took the citizenship test together. He described the questions as “common-sense” and said that it would be easy to implement in schools. Lucian Spataro, CEO of the Scottsdale-based Joe Foss Institute, an organization that advocates for civics education, said that everybody should know the three branches of government. Cronkite News reporter Sierra Oshrin tells us what this new law will mean for high schoolers. 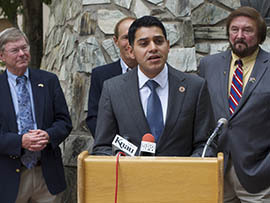 Rep. Steve Montenegro, R-Avondale, discusses his proposed Arizona Civics Education Initiative at a news conference Wednesday outside the State Capitol.